I setup a new install of CQRLog 2.3. I want to export the country name in the adif file. It used to be listed on the "Fields to export" section of the export routine. I do not see it there. Is it called something else? I see county not country. What have I missed? "It used to be listed on the "Fields to export" section of the export routine." Are you sure? In what version of cqrlog? Could it be "county" anyway? Or "continent". 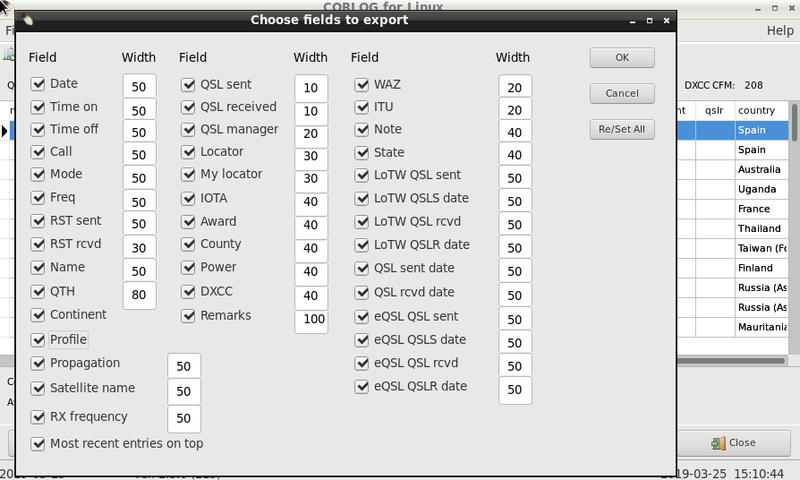 Cqrlog_main database does not have field for country. So direct exporting is not possible directly. It should have been created for every qso at export time. And I doubt that (do not remember the source at that point). Thanks for your response. I'm using version 2.3. Just downloaded a fresh copy last week for a new install. Yes, it used to be on the fields to export list. I do not see it there or in the fields for the qso list. I looked at the adif export and did not see the country in the file. I'll check the fields you suggested and see what happens. 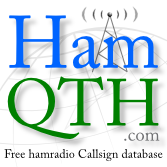 I found "country Name" on the field list for the QSO list window. That works. It is missing from the export fields list. I tried QTH and county and the result is pasted below. This is important as my logger requires the country name in the adif. Hmm.. I can see it in "preferences/visible columns" and it shows country in log sheet. in ADIF definition list document. But can you tell me cqrlog version where it existed in? I checked old 1.9.1 source and at least it was not there. It could have been version 2.1.0 or 2.2.0.1. Those are the ones I have backed up prior to rebuilding the machine. I cannot remember the exact version but I know it was there in the export. I found that the country name was not showing up in my log (eBabel) so I spoke to the author. He said the country name came in in the adif upload. I went to the export routine in CQRlog, checked country and it worked. Checked the countries.tab in ctyfiles that listed the countries by prefix. Perhaps that file is used along with the call prefix to generate the country name. i searched the git history of both ADIF export which exist in cqrlog (normal export and lotw export) and the ADIF field "country" never exists. only "county" and "cont" . The only ADIF field which cqrlog can export and which is like country is DXCC. maybe you did use DXCC? Thanks, Andreas. I’ll try that.